Thousands of people took to the street for March for Our Lives on Saturday, March 24, 2018 in downtown Grand Rapids and across the state and country. 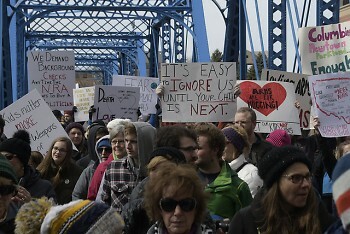 See more images from the march in this slideshow. 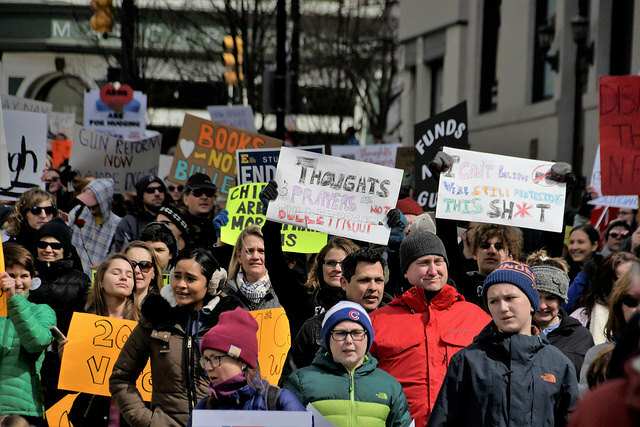 More than 4,000 people gathered at Rosa Parks Circle on Saturday, March 24, 2018 calling for tougher gun control laws at the Grand Rapids March for Our Lives rally. 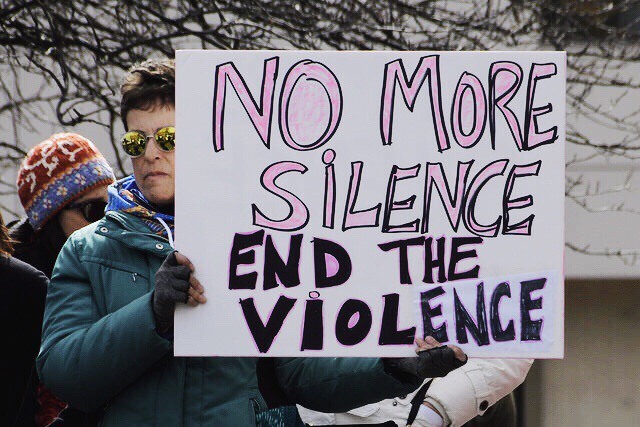 As part of the national March for Our Lives movement the the student-organized rally featured speakers, some of whom have experienced gun violence first hand before taking to the streets for a march. The march featured chants of, "Hey hey ho ho assault rifles have to go" and "Vote them out" referring to politicians that do not support control. 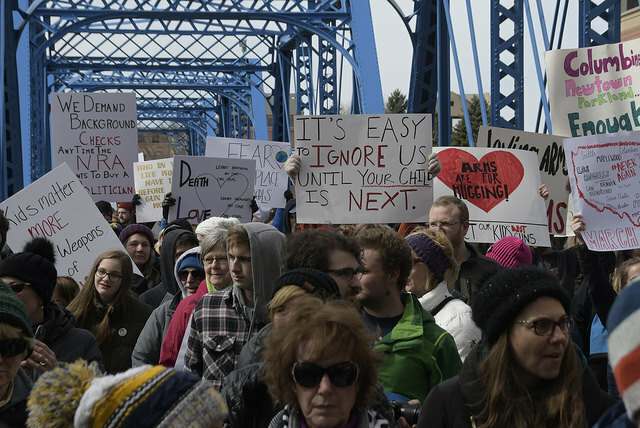 With the march leaders crossing the Blue Bridge and the others near the end still turning the corner from Ottawa Avenue on to Fulton Street, the march stretched over a half mile in length according to the Grand Rapids Police Department. Participating in the march was 10-year-old Luke DeBoer who said,"I want to end gun shootings." Concerned about gun violence, former teacher Jean Swander who in the past has been involved in lock down drills with students said, "It is time do something. 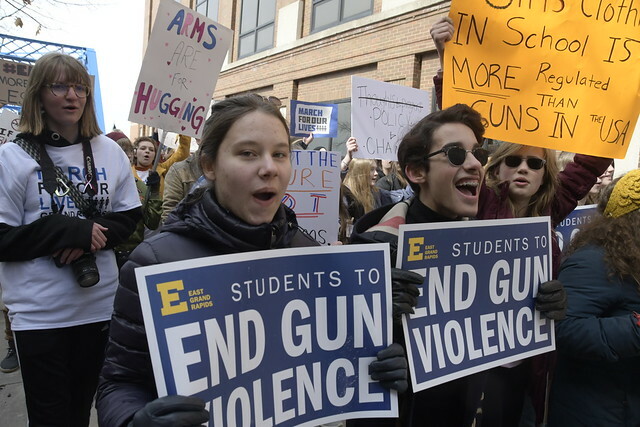 We want to keep guns out of our school." The march ended back at Rosa Parks Circle with more people speaking on the topic of gun control.